Martin came over from Canada to tackle the Coast-to-Coast walk. Angela and I joined him for a long weekend through the Lake District from Wasdale to Patterdale, taking in Scafell Pike and Hellvellyn along the way. 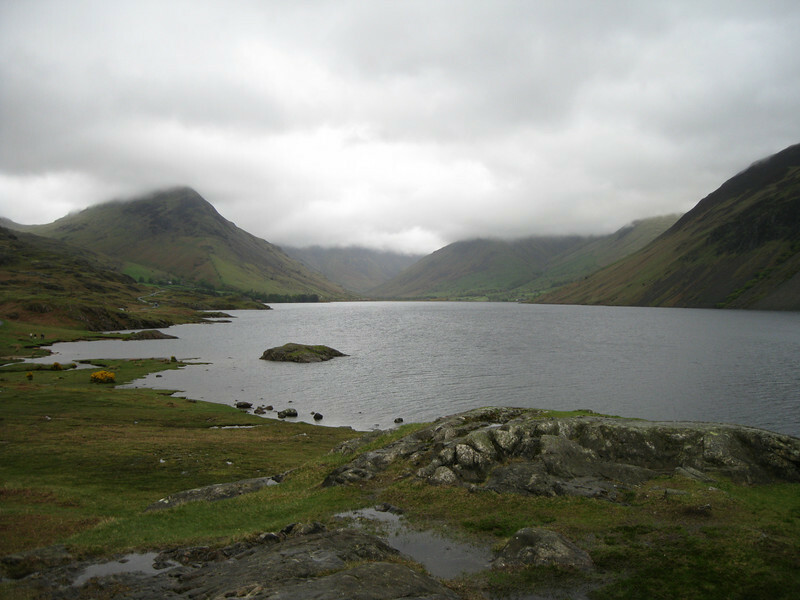 View over Wastwater towards Kirk Fell and Great Gable (hidden in cloud) with Yewbarrow on the left.